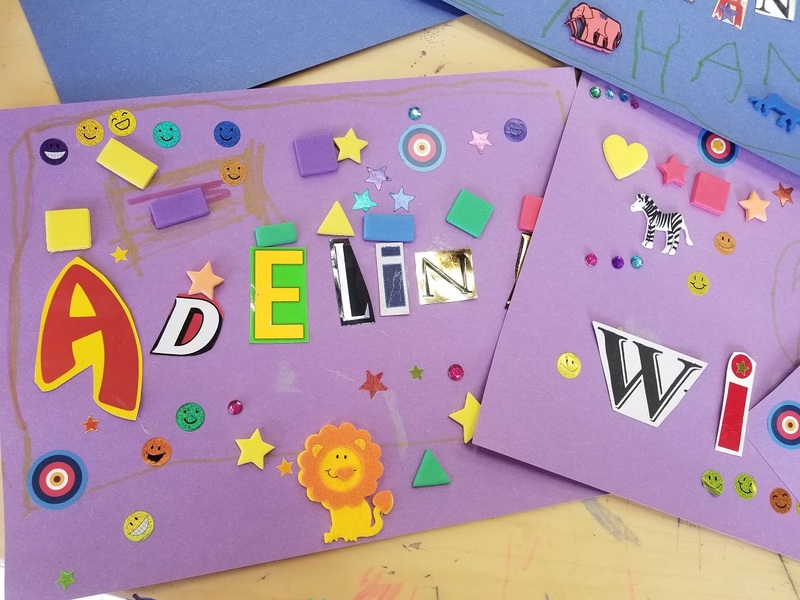 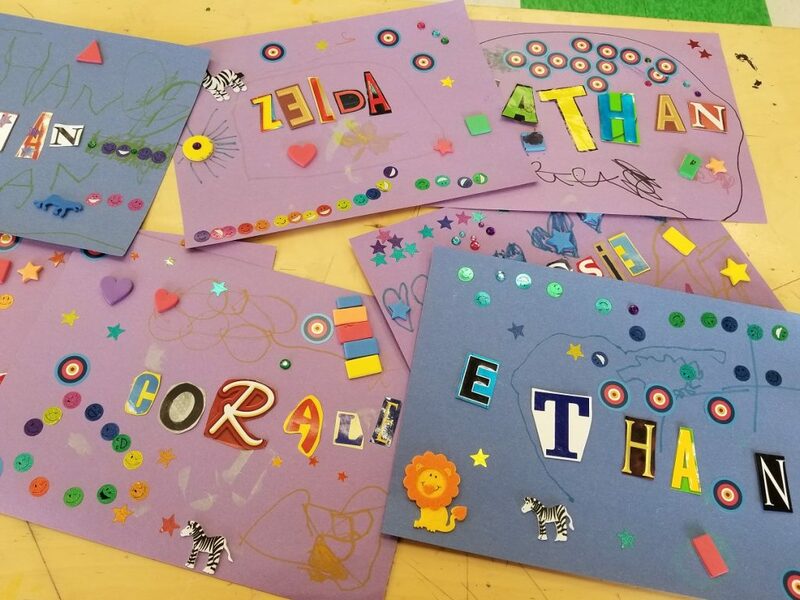 With all of Passport 2 Preschool’s work with the alphabet, this week the kids put the letters into action to personalize their art! 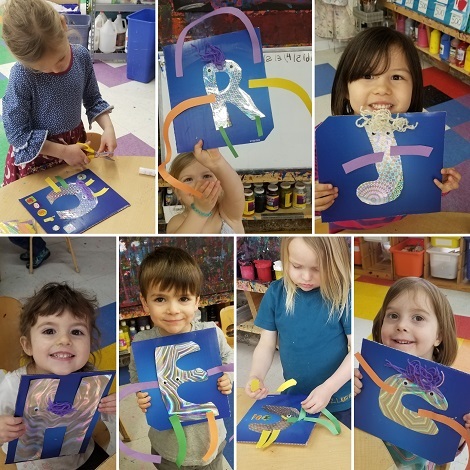 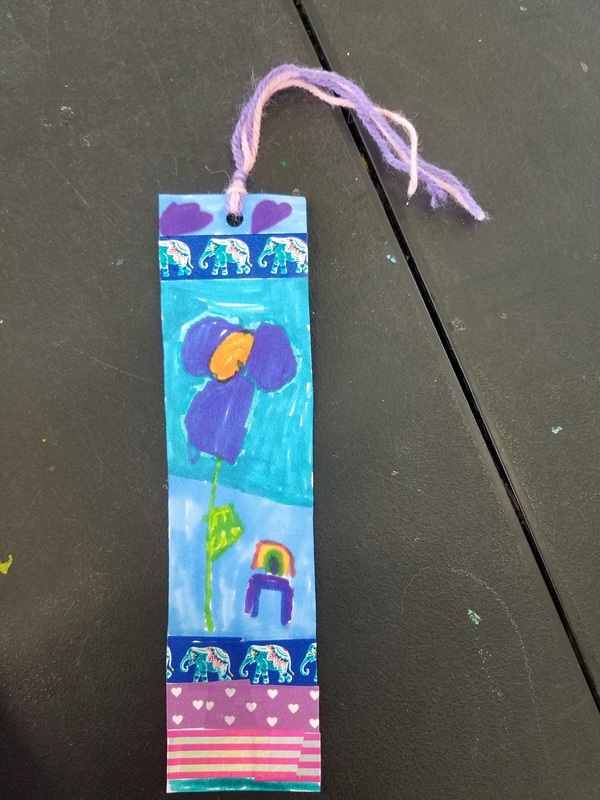 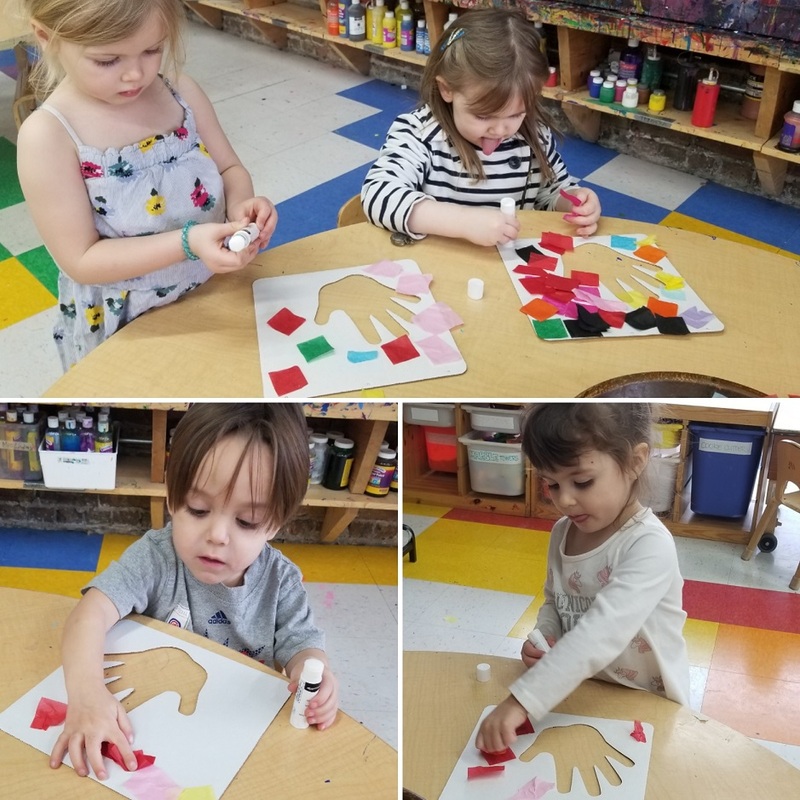 They decorated their names and initials with shapes and creatures, as well as making bookmarks and hand print art. 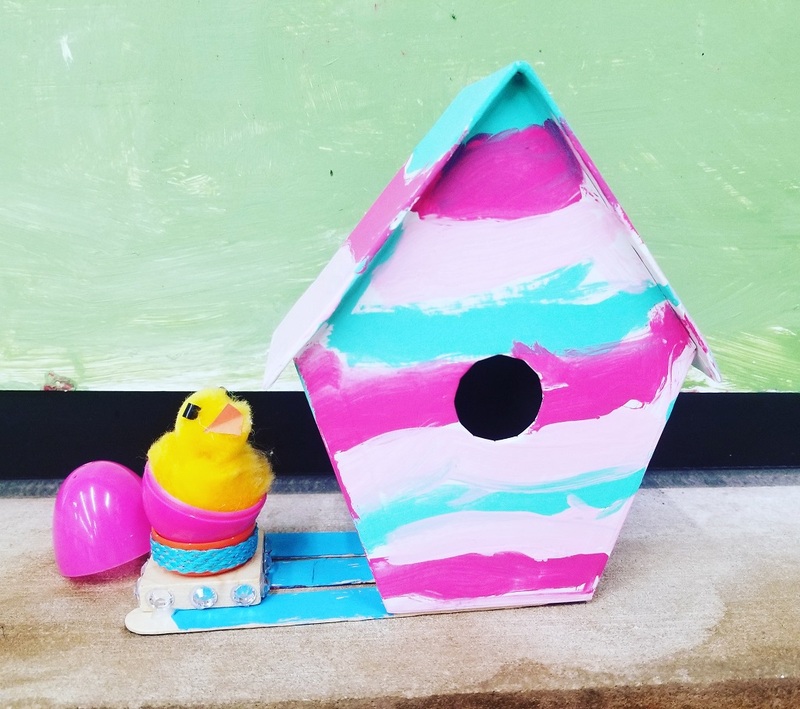 We even aw the first bird house of spring!